I can vividly recall the plate, and the feeling! It was my first initiation to negative reinforcement. Our radio station sales manager and the owner had devised a diabolical sales incentive. If you hit your target, steak dinner! If you didn’t, a plate of beans! 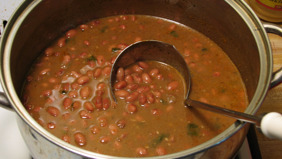 It wasn’t just a plate of baked beans, it was pinto beans, lima beans, yuck! It was the worst imaginable combination. I was just three months into starting my sales career. This event made me wonder whether I should quit now! Most of the sales staff ate beans. In fact I recall only one person earning a steak dinner. What was the sense in having this kind of a sales incentive? You probably wouldn’t make a mistake like this. Yet what kind of mistakes are you making? Negative reinforcement can be subtle. What aren’t you aware of? Let’s look at each of the five clues to negative reinforcement and how they might manifest in subtle if not obvious ways you can notice. The “J Curve” If people are scrambling at the last minute, working late and overtime to meet a deadline, it’s more than likely due to negative reinforcement. This is especially true if it occurs frequently. Negative reinforcement produces negative talk. Positive reinforcement produces positive talk. "Let us go first." 'We can do it." "Let me try." "Is there anything I can do to help." Performance goes flat after reaching goal. Stretch goals can be an indicator of negative reinforcement. Aubrey Daniels believes that stretch goals came about because managers noticed that unless they set additional goals, performance improvement stopped when the first goal was attained. By setting goals beyond the actual requirement, they were initially able to get more improvement. If performance is driven by negative reinforcement, you often get the J curve [#1]. Better to give your people a head start as suggested in Switch, How to Change When Change is Hard. There is no plan for positive reinforcement. When there is no plan to celebrate the achievement of a specific goal or an important project, the only consequence for completion is to start work on something else. When the successful completion of some important task brings with it positive reinforcement, people want to get started on another. If planning a celebration for achievement is not part of your planning and goal-setting process, and celebrations do not actually take place, you’re probably using negative reinforcement. Consider establishing themes as a regular part of your company’s reward and celebration policies to breed the positive reinforcement culture. 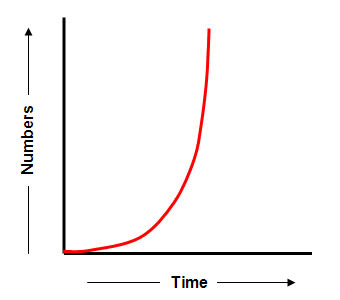 When you remove a performance requirement and performance drops. You announce to your team that their involvement on a quality improvement team is purely voluntary. Immediately they stop participating. That’s a sure sign they were doing it only because they felt they had to do it. In Bringing out the Best in People, Daniels provided these two examples from his experience to illustrate this issue: When Daniels consulted with the public schools, he asked the classroom teacher to give the students an assignment and leave the room. When the teacher left, if the students stopped working and started talking, walking about the room, putting on makeup, throwing spitballs and erasers, or reading comic books, it indicated they were studying only because they had to. If the students continued to study after the teacher left, it tended to indicate that they were studying because they wanted to. George Halas, the legendary coach of the Chicago Bears football team was asked when he was 79 years old how much longer he intended to work. He replied, "It is only work if you had rather be somewhere else." It is a sad fact that large numbers of people at work today would rather be somewhere else. The answer to this part of the equation is your businesses spiritual resources. Do you have people working for you that agree with your Core Values and Purpose? First Who than What. People is one of the Four Decisions Gazelles and Rockeffer habits emphasize your business needs to get right to grow. If your people are having fun and enjoy coming to work you know you’ve got the right people on the bus. With these examples to review, what have you discovered? How serious is your negative reinforcement problem in your business? There’s a difference I find common among the companies and executive teams that are successful and those that are not. It has to do with weight, but it’s not what you're thinking. That’s coming in my newsletter next week.